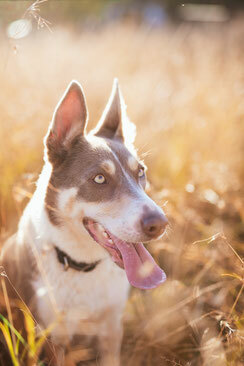 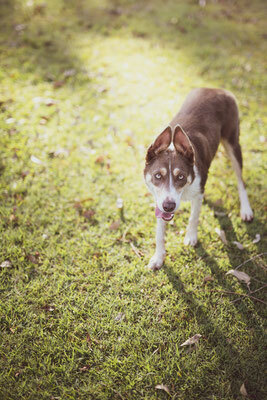 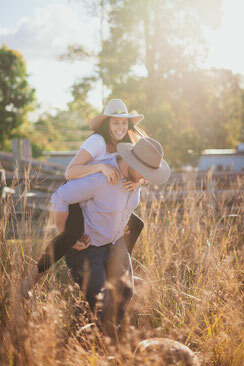 Elisha + Mitch are the epitome of fun-loving and laid back. 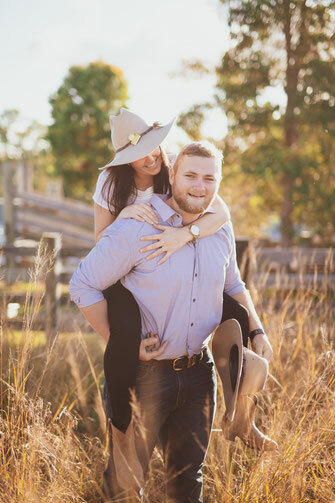 They know how to make the most of one another's sense of humor, and that has served them well throughout their relationship. 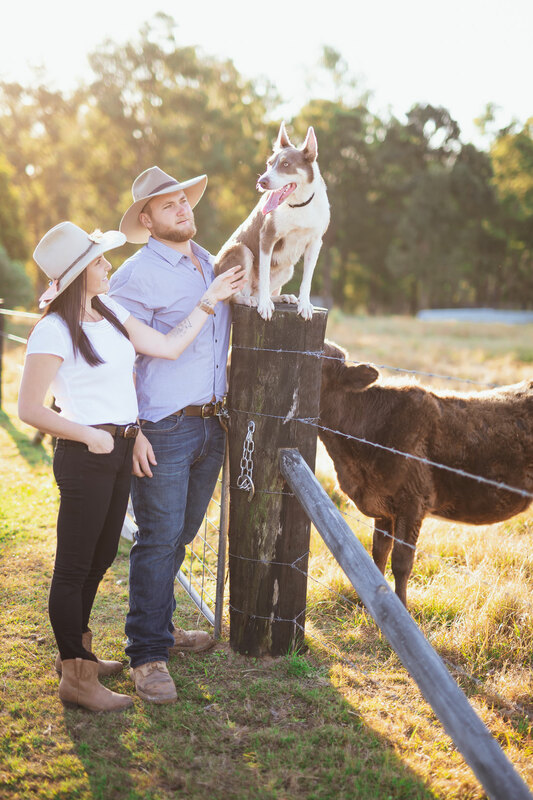 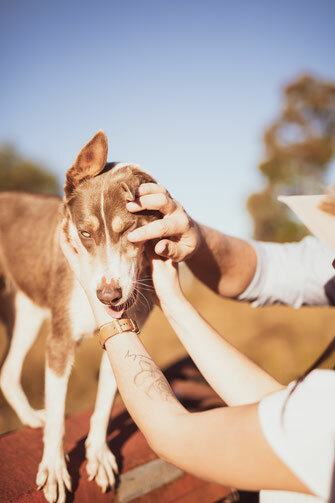 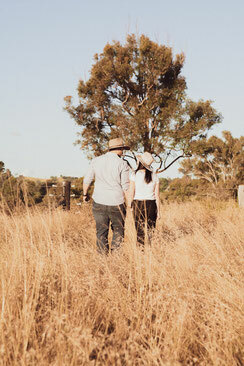 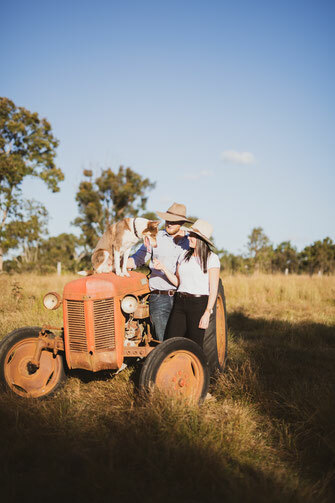 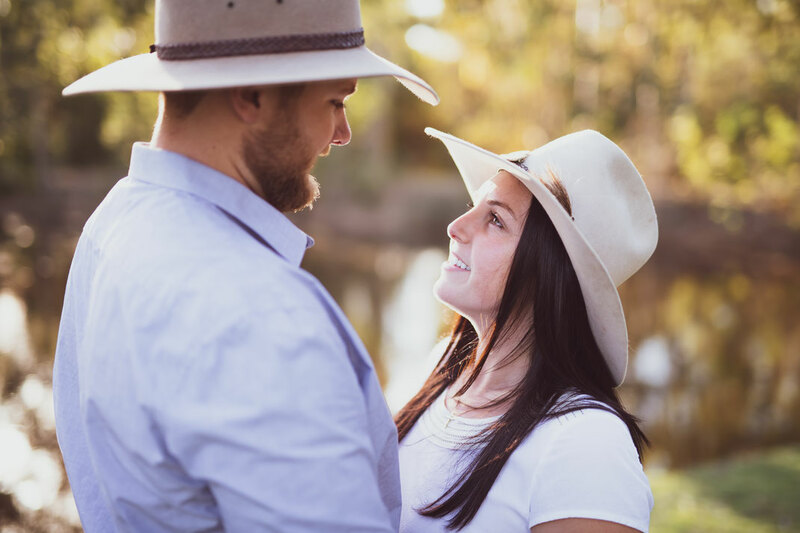 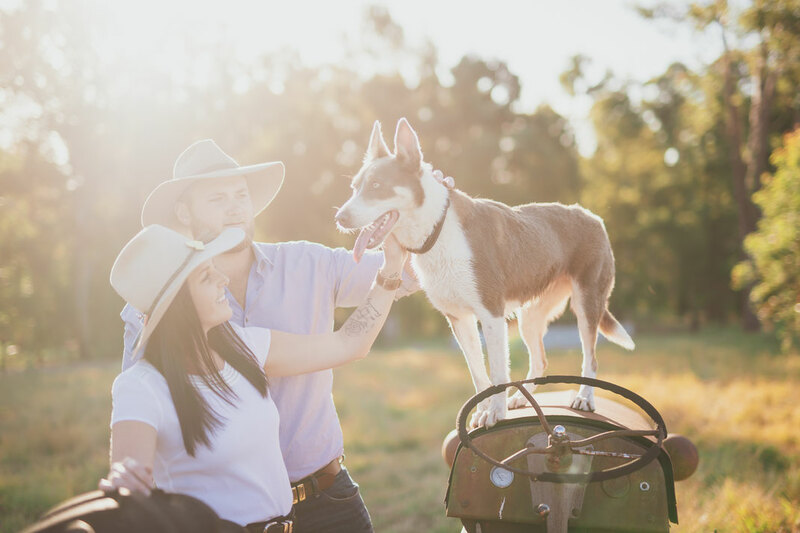 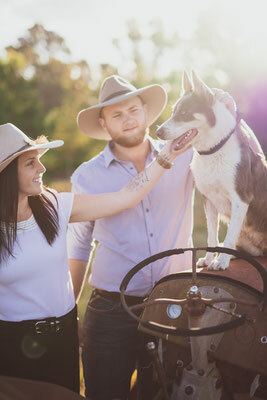 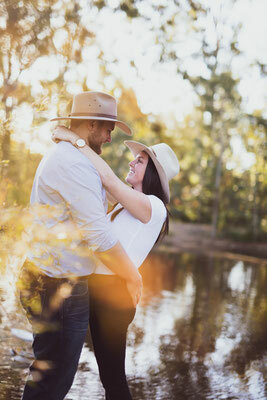 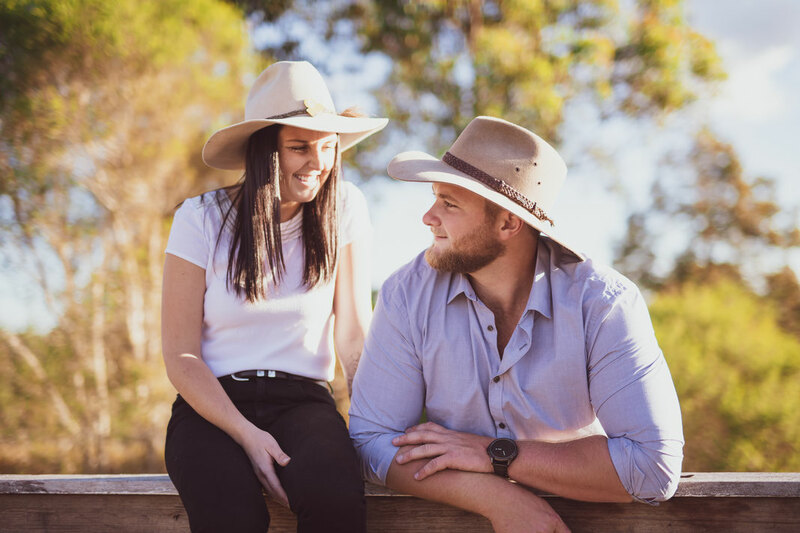 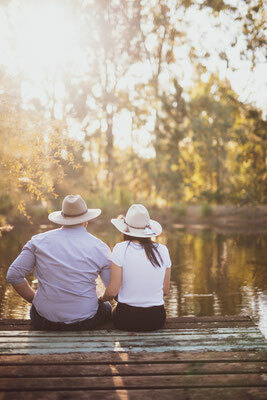 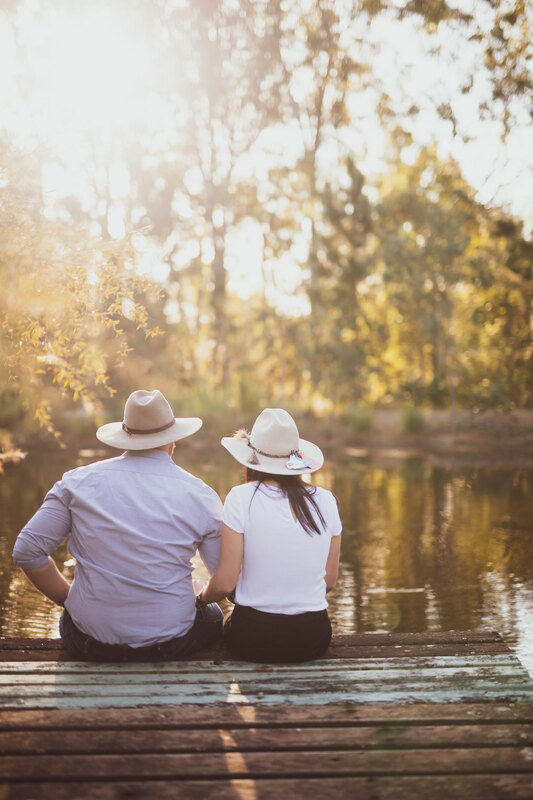 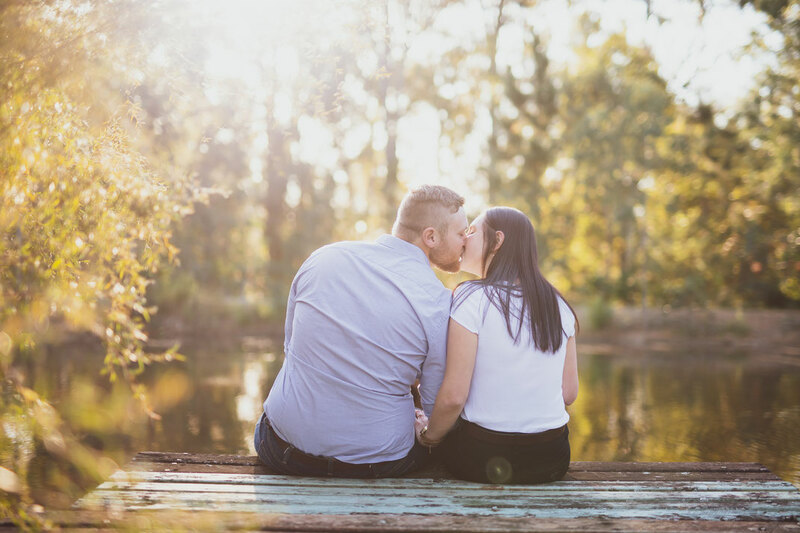 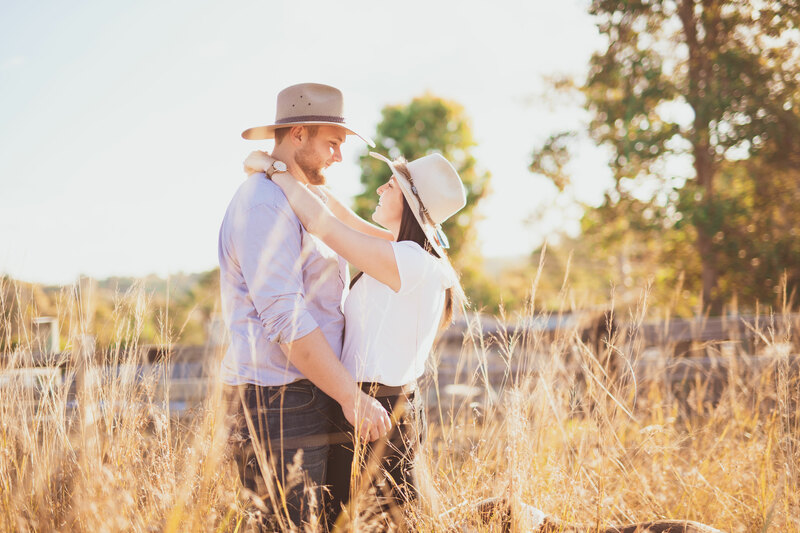 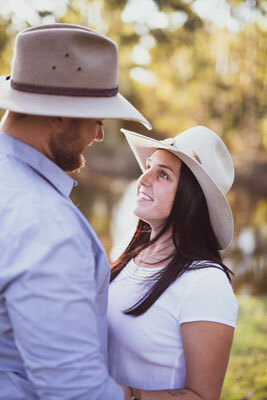 We followed Elisha + Mitch to the great outdoors to capture this spirit in their engagement session, before their wedding that shortly followed! You know it's going to be a great session when there's Akurbra hats and doggo's!